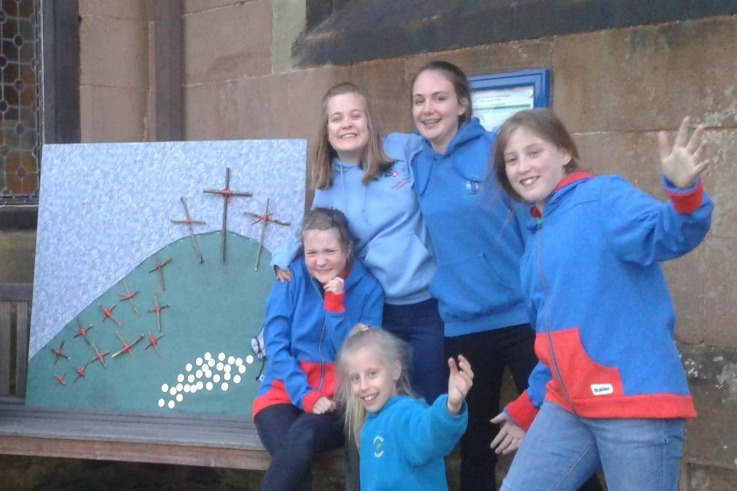 1st Lilleshall Guide Unit took part at Easter in Stations of the Cross at Lilleshall Church. The guides received great feedback and their station was even used within the church sermon. Can you guess their Bible passage?